Many of our customers have specific questions about our professional services. Here are just a few of the frequently asked questions we hear at Supa. 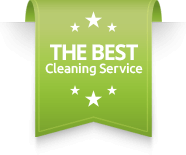 Simply visit the signup form to book a cleaning and as you provide information about your house and schedule, your quote will dynamically adjust. Am I charged the full quoted amount even if it does take as long to clean my premises? No, you’re only charged based on the amount of time your cleaner was actually at your premises working. If they finish early, you aren’t charged the full amount quoted. Doe someone have to visit my premises before I can book a clean? Yes they are as we use commercial grade equipment and products it makes the job quicker and more efficient, but if you prefer certain brands or products we are happy to use the ones provided by you. Please contact us immediately and we’ll make arrangements to rectify the situation. We have a satisfaction guarantee that we stand by. DO I HAVE TO BE PRESENT WHEN YOU CLEAN MY PREMISES? WHEN AM I CHARGED FOR MY SERVICE? ARE THERE ANY COMMITMENT OR CONTRACTS? No, you can cancel service anytime without any penalties. You don’t have to commit to any contracts or predetermined number of appointments.